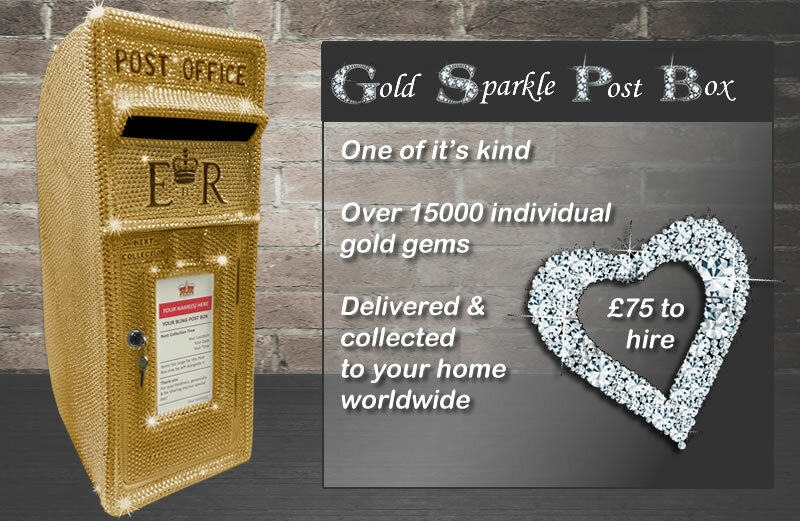 Each Bling Post Box is hand designed by our team with 1000′s of individual diamante gem stones. Studded with 1000′s of individual gold gem stones this is the only one of its kind in the world and will make the ultimate statement at any occasion. Enter your required dates below and exact requirements and we’ll get back to you ASAP.